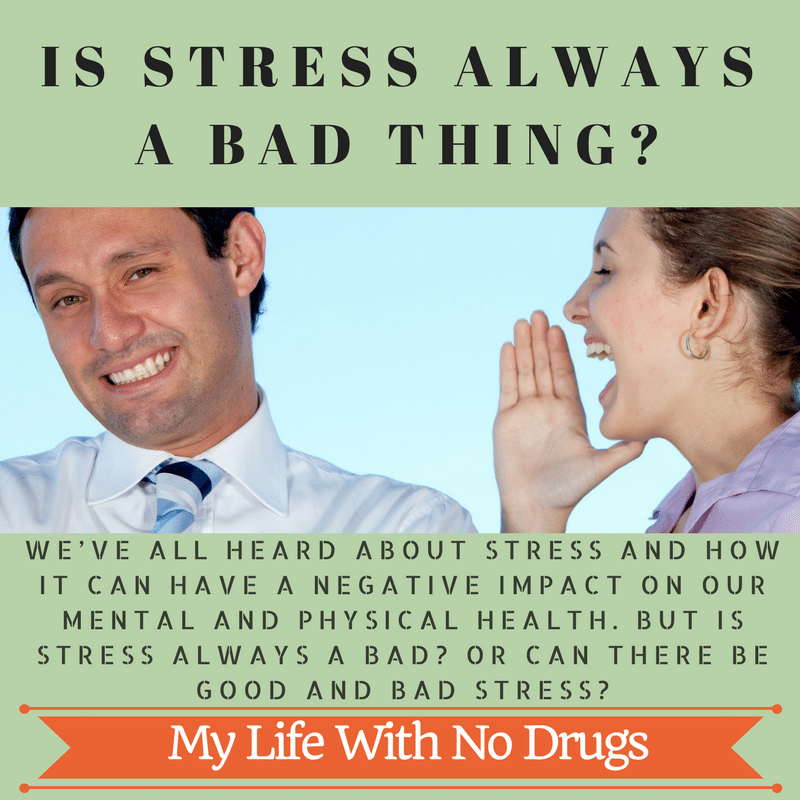 We’ve all heard about stress and how it can have a negative impact on our mental and physical health. But is stress always a bad stress? Or can there be good and bad stress? Is stress always a Bad Stress? Stress is not necessarily a bad thing. A little bit of pressure can be just what we need to succeed. For example, when we are children, chances are we would want to play all day and not get very much done unless we were put under some stress to achieve specific tasks and benchmarks that show academic progress. Tests, reports, scientific experiments and other tasks with deadlines keep us moving forward. If we go to college, hopefully, all that we accomplished before it will contribute to our success. This includes a good work ethic. With college costs so high these days, it would be silly to waste the opportunity by spending all our time partying. Exams, mid-terms, reports, dissertations and so on are all signs of achievement and help us earn the kinds of grades that will make us more desirable as employees when it comes time to look for a job. At work, meetings, reports, presentations and a long to-do list with deadlines all keep us moving forward to success. Even happy events in our lives can be stressful, such as planning a wedding, moving house, having a new baby and so on. But the rewards can be well worth it, and our experience with good stress throughout our lives teaches us that the effort we put in will have a positive outcome. If we are an athlete, the stress we put our body under improves our performance, provided that it is controlled and applied sensibly. For example, a person who wants to get a better body through weight lifting does not start with a 100-pound weight in each hand. They begin with light weights of 2 or 3 pounds, and gradually, over time, they lift them for more repetitions, and use heavier and heavier weights, until they reach their goal. Too much too fast would be too much stress, and lead to injury and perhaps even permanent harm. Bad stress occurs when we are trying to do too much in our lives, too fast. A little stress is only natural, but if it becomes chronic, day after day, it can take its toll on our health. Common signs to look out for an include a headache, migraine, jaw pain, especially if we grind our teeth, back pain, digestive issues, sleep problems, and more. Stress can compromise our immune system and leave us open to more colds, flu and other infectious diseases. If you already have a medical condition, stress can make it worse. Certain situations can also cause stress to reach all-time highs. These include changing jobs, dealing with illness (your own or a loved ones) or the death of someone close to you. These extreme situations can make you feel like a pressure cooker about to explode. If you have ever had “butterflies” in your stomach or had to make a “gut-wrenching” decision at work, you will understand just how much of an impact stress can have on your digestion. Humans are wired to protect themselves from perceived threats. Lions or tigers are no longer chasing us, but stress still triggers the same “fight or flight” response. 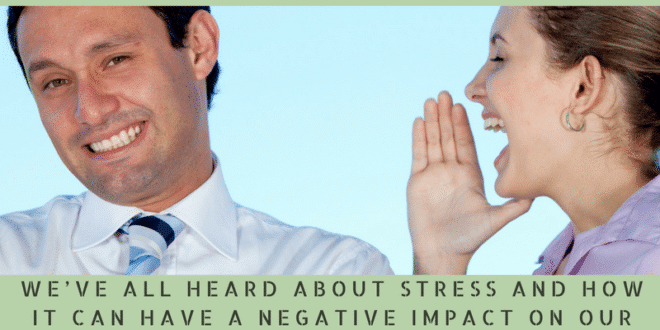 The trouble is that most of our stressors in the modern world are not potentially fatal, but the hormonal and biochemical “crisis” triggered by stress can take its toll on our health. Chronic, or frequent, stress means our digestive system is not operating at peak efficiency. It affects our stomach and digestion, causing food not to be broken down properly, so we lack in nutrition. It can lead to the poorly timed emptying of the stomach contents into the small intestine, and of the small intestine into the large intestine. This can cause various gastric symptoms, including bloating, gas, diarrhea, and constipation. All of these symptoms can leave you feeling less than your best. They also often trigger people to start popping all sorts of pills and potions to try to solve the problem, which can lead to even more health issues – including problems with memory and even (on infrequent occasions) death, from medicines like Imodium. What people really should be doing is focus on stress management and stress relief techniques, which are all natural and have no risks of side effects. When you know the difference between good and bad stress, you can take steps to manage your stress better, and practice stress relief techniques. Regarding management, good self-care is vital. Sleeping and eating well are both good ways to prevent burn-out. So too are time management techniques, and methods you find that help you work smarter, not harder. Regarding stress relief, there are many different things you can do to ease your stress throughout the day. Meditation, exercise, taking regular breaks and so on can all help you stay in balance and not get overwhelmed. Excellent article! !You have explained things very well in a detailed manner. Stress is on the rise with our modern day living patterns. With so much competition and so much to achieve, we are putting ourselves into immense pressure situation. We should have certain goals in our lives however we should not get too carried away with it and stop living our lives. Life is beautiful, we should appreciate it and try to enjoy every moment of it.